Roads & Infrastructure Magazine reports on findings from a recent Senate Inquiry on the possible impacts that climate change could have on infrastructure assets. 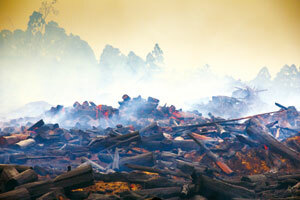 Australia is no stranger to extreme weather events, such as heatwaves, cyclones, bushfires and floods. These can cause significant damage to cities and infrastructure, with the Queensland Tourism Industry Council reporting a total cost of $6.4 billion to repair the damage dealt to more than 8000 kilometres of roads and more than 1700 bridges and culverts between 2011 and 2013 due to flooding and extreme weather events. Additionally, the Climate Council finds in its Cranking up the intensity: climate change and extreme weather events report that all extreme weather events are influenced by climate change. As the climate changes and extreme weather events become more common, the long economic lifespans of infrastructure assets could face significant risks. The Australian Senate commissioned the Environment and Communications References Committee to report on the potential impacts of climate change on infrastructure across a range of projected climate scenarios. The findings of the Current and future impacts of climate change on housing, buildings and infrastructure report were released in August and detail how various changes in climate can impact and further damage Australia’s valuable network of road, rail, energy and utility infrastructure. Craig James, CSIRO Research Program Director, says in the report that for industries such as farming, the weather is more important than climate, but this is not the case in the infrastructure sector. “If you’re going to build an airport that you want to last 200 years… then clearly you have to think about flooding, sea level, wind loads, all sorts of things. You want to future-proof that investment dramatically compared with what you might do today,” Dr. James says. This long-term planning approach can present certain design challenges, according to Megan Motto, Consult Australia Chief Executive Officer. She observes in the report that while engineers can design for specific end points, these aren’t necessarily clear when possible future scenarios for temperature, sea levels and extreme weather conditions aren’t currently known. Transport infrastructure such as roads and rail are critical to maintaining a modern society, as it stimulates economic activity through the movement of goods and services, according to the report. The report says an increase in storm surges and high intensity rainfall could threaten this infrastructure and require increased road maintenance and repair while also causing long-term effects by changing the ground conditions and destabilising foundations. Because of this increased exposure to seawater from rising sea levels, the lifespan of bridges and embankments could be reduced, increasing maintenance costs significantly. 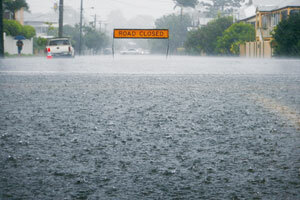 As part of the report, the National Climate Change Adaptation Research Facility (NCCARF) advises there are between 26,000 and 33,000 kilometres of roads that are potentially at risk from sea level rise and inundation. The NCCARF also refers to an analysis that found the cost of extreme weather events represents one per cent of Sydney Trains’ annual operational and maintenance costs. Tony Matthews, Urban and Environmental planner at Griffith University, says each city faces its own risks when it comes extreme weather events as a result of climate change. “Every city has a different risk profile dependent on where it is located. For example, in Brisbane there is a higher chance of encountering a major storm, whereas Townsville can be more vulnerable to floods,” Dr. Matthews says. Increased heat can cause significant damage to transport infrastructure, causing bitumen in roads to melt or crack, while railway tracks buckle under the increased pressure. In extreme cases, this can cause track infrastructure to become misshapen and require repairs. Increased foliage and greenery in an urban environment can reduce the urban heat trapping effect, which is why the NSW Government recently announced a program to plant five million trees in Sydney by 2030. This endeavour aims to increase the tree canopy in the city from 16.8 per cent to 40 per cent and lower the urban heat profile. In Hobsons Bay City Council’s submission in the report, it states that urban environments can be designed to reduce heat, but there currently is no legislation, standards or guidelines that provide a minimum standard for managing the issue. The council outlines the issues of increased high intensity rainfall events and the damage flooding can potentially cause to transport infrastructure by rendering pedestrian underpasses at railway stations inaccessible and trapping train, tram and bus users at platforms with limited shelter. Repairing damage done by extreme weather events can often fall under the jurisdiction of local government, which already have to handle other infrastructure demands. The Northern Alliance for Greenhouse Action explains that local councils are on the frontline when it comes to climate change and bears a significant amount of the risks. “The impacts of climate change are already taking their toll on local governments ability to deliver critical services to their community,” the alliance says in the report. The Australian Local Government Association (ALGA) says local government manages more than 680,0000 kilometres of roads in Australia, spending billions per year on upkeep. “A 2006 report by PricewaterhouseCoopers into the financial sustainability of the sector estimated a substantial infrastructure backlog of around $14.5 billion and an under-spend on renewals in excess of $2 billion per annum,” the association says in its submission to the report. According to the report, one of the economic challenges that climate change presents is the fact that upgrading resilient infrastructure becomes economically viable when the potential costs of extreme weather events outweigh continue running business as usual. Another barrier to implementing climate change into design considerations is the uncertainty around future climate projections along with business realities prioritising short term risk taking over long-term planning, especially when it is incompatible with business time frames. Dr. Matthews says the infrastructure market recognises the long-term profits it can achieve over the long lifespan of infrastructure assets and realises that spending more now can save them significantly in the future. “The insurance industry is becoming a big player in this space due to their sophisticated climate change risk profiling. Large infrastructure projects seeking insurance will be more likely to take into account the risks of climate change to protect their returns,” he says. The Senate inquiry report states that it is important to address the need to reduce and curb greenhouse gas emissions, including the actions needed to meet Australia’s obligations under the Paris Agreement to hold average temperature increase to below two degrees Celsius. Professor Lesley Hughes from the Climate Council of Australia adds in the report that once two degrees Celsius of warming is reached, the sea levels will continue to rise. “When we get to two degrees, we are probably still in the range of adapting, but, beyond that, sea level rise is going to keep going up at least for centuries after that,” Prof. Hughes explains.